…cried like his mom did? …mocked him like the guards did? …stand in open condemnation as the High Priest did? …observe with the joy of blood sport as the local rabble did? …betray him as his followers did? …shriek in loud cheers as Satan did? Chances are, had I been there, I would have done all of the above. Chances are, I would have done these things out of the same pitiless ignorance that they did. Even in all his betrayal, pain, and separation from the Father, he asked God to forgive us, since we really didn’t know what we were doing. Jesus didn’t die for our sin, He died OF them. 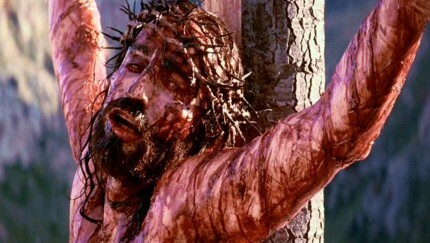 He died for me. He died for you. Thank You. Coming from you, that means a LOT. I am grateful.